This cotton and wool check jacket, featured in our Cruise 2019 presentation, is a stylish way to take on winter’s chill. Made in a workwear-inspired silhouette, the richly hued jacket features a custom checked pattern that is unique to Bottega Veneta and a removable checked intarsia shearling collar. 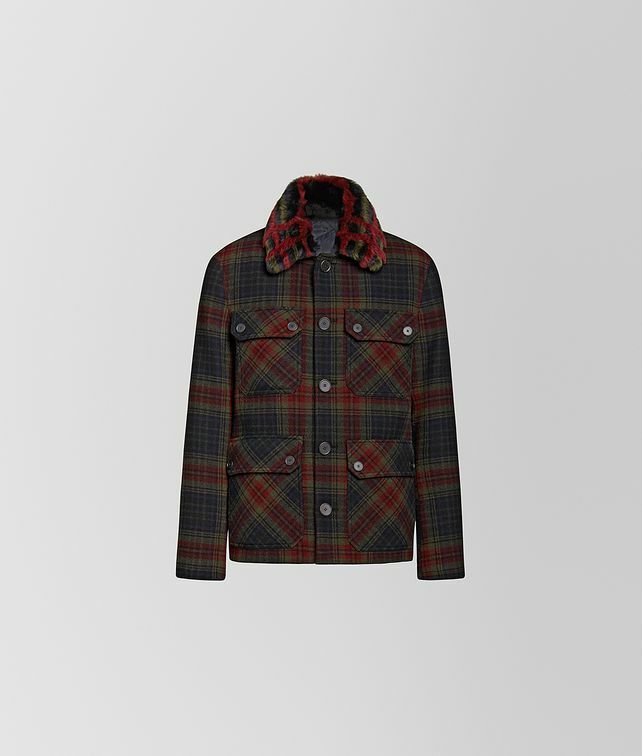 The jacket is fitted with four patch pockets and a button fastener and lined with nylon quilted in an intrecciato motif.